Having a plumbing issue? 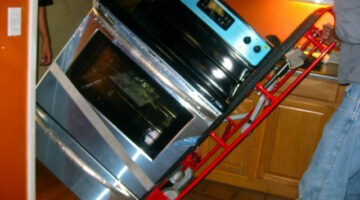 Want to try to fix it yourself before calling a plumber? Here, homeowners are sharing the DIY plumbing tips they've used to fix plumbing issues on their own -- from dripping toilets and toilet tanks constantly running to dishwasher issues and what's included in a home warranty. Plus, all about energy-efficient hot water heaters & tankless water heaters -- including how to drain, refill, and insulate one. Start here to find easy solutions for common plumbing issues that you can handle yourself... and save money in the process! You should drain your water heater once or twice a year, otherwise sediment will collect in your water heater — resulting in less hot water and a less efficient water heater. 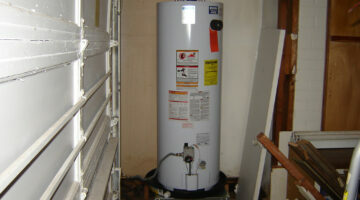 Here’s how to drain and fill your water heater. There is one very simple thing you can do to help save on your energy bills each month: insulate your water heater! 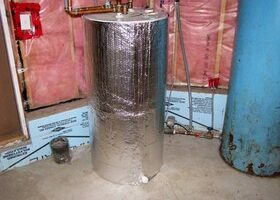 Here’s how to insulate your water heater, using step-by-step instructions.